Q: I really do not like visiting the dentist. Is there anything you can do to help me relax? A: Many people are uncomfortable with visiting the dentist. Your comfort is our highest priority, and our offices are designed so that you can enjoy a relaxing dental visit. For entertainment and distraction, stereo headphones with music are available. Nitrous oxide is also offered to keep you comfortable and relaxed. Q: I brush every day, but my breath is still not fresh. Is there anything I can do? A: Millions of people struggle with halitosis (bad breath) despite daily teeth brushing. Here is a checklist of procedures that can eliminate the problem: twice daily brushing, daily flossing and tongue cleaning, regular professional cleanings and careful cleaning of any dentures or removable dental appliances. However, if your hygiene is meticulous and the problem persists, we can offer several solutions. First, we can provide a plastic tool called a tongue scraper that cleans away bacterial build-up on your tongue, significantly alleviating odor. Or, we can recommend a specially-prepared rinse or toothpaste designed to actually breakdown the odor-causing sulfur bonds that cause bad breath. Finally, we may also suspect a systemic or internal problem, such as an infection or underlying condition, in which case we may recommend a visit with your family physician or specialist to identify the cause. A: If your doctor has recommended a crown to you, it is likely either to correct a broken tooth or to repair a tooth that has deteriorated due to cavities (decay). The decay in your tooth eats away healthy tooth structure much like rust eats away at metal. If not removed, decay will deteriorate the tooth to the point where extraction is the only viable treatment option. Sometimes, decay is removed leaving healthy tooth structure, but not much of it. A crown can then be placed, restoring the look and function of your tooth, while allowing you to keep your natural, underlying tooth structure. Most crowns are precision-milled porcelain or full metal (gold or silver) and are individually customized for each application in each patient, giving you a natural, long-lasting smile. Q: I know I need X-rays, but I’d prefer not to be exposed to unnecessary radiation. Do you offer any alternatives that use less radiation? A: Yes, we offer digital X-rays (radiographs). Digital X-rays use less radiation and are safer for you than traditional film-based X-rays. You will find that our doctors research the latest trends in technology to find the solutions that best promote your overall health, safety, and comfort. A: Research shows that fluoride reduces cavities in both children and in adults by halting tooth decay. It also helps repair the early stages of tooth decay even before the decay becomes visible. Interestingly, many people continue to be misinformed about fluoride and fluoridation. Fluoride is a safe chemical component when used correctly. When your dentist applies fluoride to your teeth, usually in the form of a fluoride varnish, gel, or foam, that fluoride is more concentrated than the fluoride contained in toothpaste or mouthwash. The ADA recommends that dental professionals use any of the professional strength fluoride varnish, gel, or foam products carrying the ADA Seal of Acceptance. A: You are not alone. Most people want to have a nice smile since it is the first thing others notice about you. You may be interested in a few minor adjustments or you may have concerns that need more attention. Some smiles can be enhanced with simple whitening or bonding treatments. Other smiles need porcelain veneers, crowns, or bridges; gum contouring; periodontal therapy; or, a combination of all these techniques. Dr. Cline or Dr. Hansen will suggest a treatment plan for you based on your goals, areas of concern, and the overall condition of your oral health. Contact our office today for a complimentary smile evaluation to determine what course of action will produce the best solution for you. A: Cline Dental has a number of ways to improve the look of your front teeth without the use of unsightly braces. For slightly crooked or unevenly worn teeth, a bit of reshaping and the addition of porcelain veneers may be sufficient to give them a bright, uniform look. We would be happy to talk with you further about the option that best suits your individual situation. Attention to detail, respect for the individual, and a true concern for each patient are the hallmarks of our personal care and our quality product. We are committed to helping you fulfill your ultimate self-image. A: Losing a back tooth will darken your overall smile, making it look smaller and narrower. Your smile will appear to stop short, and the look will be exaggerated if your missing tooth has teeth on both sides of it. Function during chewing will be reduced, and the function of many teeth can be affected by losing just one tooth. When you are missing a tooth, you compensate by chewing differently, putting pressure on different parts of your mouth. This can cause your other teeth to shift, creating gaps and spaces, and may even cause fractures that result in additional tooth loss or the need for restorations. A: By replacing missing teeth either with a bridge or an implant, you will alleviate the problems associated with missing a tooth and will restore your smile to its beautiful, full appearance. A bridge is one solution for replacing a tooth. By using neighboring teeth as the supportive structure, Dr. Cline places a porcelain restoration into the vacant space, restoring the functionality and look of your smile. A dental implant is also an excellent solution. Dental implants involve the placement of a titanium post directly into the jawbone. Once the post has bonded to the bone, it can act as a new, solid support for a natural-looking, porcelain restoration. Implants can replace a single tooth or an entire set of teeth, offering more function and permanence than traditional dentures. A: During your first appointment, your overall dental and oral health will be assessed with a comprehensive oral evaluation. Upon completion of your medical/ dental health form, we will ask you to tell us your goals regarding your smile, teeth, and gums. Digital photos and X-rays will be taken of your teeth to identify areas of decay, cracked teeth, and malfunctioning restorations. Our goal is to preserve as much of your teeth as possible by catching decay in its earliest stages. We’ll also assess your gums and recommend the appropriate hygiene treatment for you. A: Over the years, patients have given us the compliment of referring family and friends to our practice. Our reputation for excellent dental care depends upon two things: our good work and your beautiful smile. Your confidence in our care motivates us to continue to strive for excellence. Thank you for your referrals. Your trust and support are greatly appreciated. A: Dental insurance is designed to assist you in paying for your dentistry. Most procedures are not fully covered by your insurance. 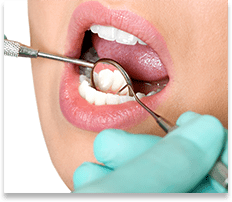 Cosmetic dentistry, in particular, is not covered by most dental insurance plans. 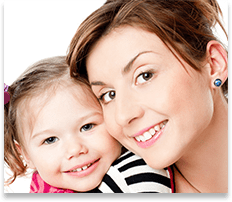 To help you afford your smile, we offer a variety of payment options, in addition to a monthly payment plan provided by our financial partner, CareCredit™. We also pay special attention to maximizing the benefits your insurance provides. 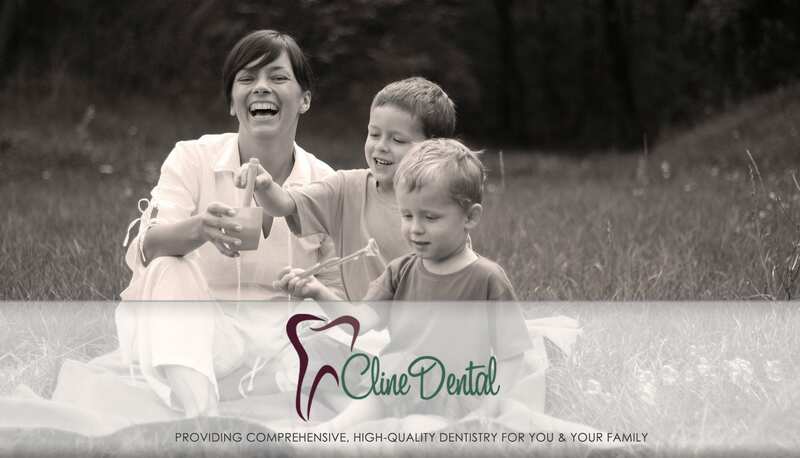 Ask a Cline Dental team member how you can comfortably afford your dentistry and maximize your dental insurance benefits. Low-interest and extended payment plans through CareCredit™. Periodontitis affects your gums, your bone, and your teeth in a manner that cannot be reversed. To prevent tooth loss, you may require more extensive, specialized treatment from your general dentist or even from a periodontist. If left untreated, periodontitis results in tooth loss – teeth either fall out on their own or must be extracted. If you don’t diagnose and treat periodontitis in its early stages, you may require extensive surgery to save your teeth and may put yourself at risk for other serious health problems. Periodontitis affects your gums, bone, and teeth in a manner that cannot be reversed. To prevent tooth loss, you may require more extensive, specialized treatment from your general dentist or even from a periodontist. If left untreated, periodontitis results in tooth loss – teeth either fall out on their own or must be extracted. If you don’t catch periodontitis in its early stages, you may require extensive surgery to save your teeth and may put yourself at risk for other serious health problems. A: A sealant is a plastic material that is usually applied to the chewing surfaces of the back teeth—premolars and molars. This plastic resin bonds into the depressions and grooves (pits and fissures) of the chewing surfaces of back teeth. The sealant acts as a barrier, protecting enamel from plaque and acids and guarding against disease-causing bacteria. Thorough brushing and flossing help remove food particles and plaque from smooth surfaces of teeth. However, toothbrush bristles cannot reach all the way into the depressions and grooves to efficiently extract food and plaque. Sealants protect these vulnerable areas by “sealing out” plaque and food. A: Dentist-directed, at-home whitening and in-office whitening procedures are both effective ways of brightening your smile. In either case, your dentist customizes the treatment to ensure your happiness with the results. Your custom home whitening kit involves a special tray that is customized to fit over your teeth. You also receive prescription whitening gel, which is inserted into the tray before you wear it. Dr. Cline gives you detailed instructions about how long you should wear the tray each day, and you should expect the entire home whitening process to take between two and four weeks, leaving you with a dazzling white smile. If you desire immediate results, visit Cline Dental for an in-the- office whitening procedure. A much more powerful whitening gel is used, with your dentist’s supervision, giving you amazing results in just a few hours! At home whitening trays. These products use peroxide-based gels to bleach your teeth. Generally, the process involves the daily application of the gel in a formed “mouthguard” for about two weeks. Side effects may include short-term tooth or gum sensitivity. Zoom!™ whitening (a.k.a in-office whitening). Zoom!™ whitening is a procedure that takes place in a single visit to your dentist. It involves the application of a specially formulated gel that, when exposed to a type of light energy, penetrates the stains in your teeth, breaking them up and leaving your smile brighter and whiter. Porcelain veneers. 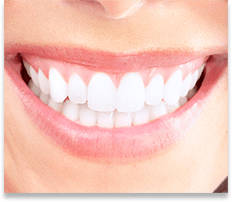 Many people who have tetracycline-stained teeth and cannot whiten their teeth with traditional means or people who want a more permanent solution will opt for porcelain veneers. Porcelain veneers are a great way to whiten your teeth in a more permanent fashion. The veneers do not stain with time and also correct many other concerns you may have, including crooked teeth, gaps in teeth, and a gummy smile. Most of the smile makeovers you see on television are accomplished with porcelain veneers.